The new S80 delivers style, amenities, fuel-economy and comfort at a price that beats out the competition. In their 2015 Volvo S80 review, Edmunds notes that "a loaded, all-wheel-drive S80 is typically a lot less expensive than other similarly equipped premium-brand sedans." Dallas drivers will appreciate the S80's clean styling coupled with comfort seating that can only be described as amazing. The new T5 Drive-E models introduced this year are front-wheel drive and feature turbocharged, direct-injection engines. These 2.0-liter 4-cylinder wonders are smaller and lighter than the 3.2-liter sixes they replace, yet they deliver equivalent horsepower, more torque and better fuel economy. Power enthusiasts can still opt for the 300-horsepower S80 T6 all-wheel drive model. The S80 T6 is an excellent choice for those long treks down Texas highways where its cruising power and comfort ride really shine. Both the S80 T5 and T6 are available in Premier, Premier Plus and Platinum trim levels offering a variety of equipment packages. 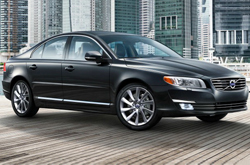 As Volvo's flagship, the new S80 equipped to meet luxury car buyers' expectations. From alloy wheels, foglights and keyless entry/ignition outside to a configurable instrument display and full power accessories inside. Topping off a list of standard features too long to include here are an auto-dimming rearview mirror, Bluetooth phoning and audio streaming with iPod/USB connectivity. Browse some of the Volvo S80s in Dallas inventory featured below to see complete lists of all inclusions on various trims. You'll also find available package options with advanced technology features like rear parking sensors, rearview camera, voice controlled navigation, adaptive cruise control and lane departure warning. You can't talk about Volvo cars without a hat-tip to their stellar safety record. 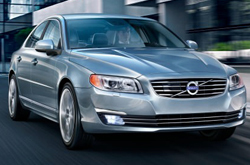 The S80 was a 2014 IIHS Top Safety Pick-Plus - the pinnacle in safety rankings. The 2015 S80 is structurally the same, so rest assured you have chosen a safe, family-friendly automobile when you purchase a Volvo S80 in Dallas. The Car Connection's 2015 Volvo S80 review sums up nicely, observing that the "S80 puts safety and comfort first, making it one of the most family-friendly full-size luxury sedans." 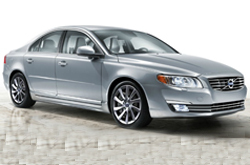 In many areas, the 2015 Hyundai Genesis, BMW 5 Series and the Acura TL are eclipsed by the 2015 Volvo S80. With useful onboard technologies and an splendid design, shoppers will love the S80. It's a truly outstanding value. Just compare its price to the aforestated list of vehicles and you'll undoubtedly see why so many Dallas drivers love it. Check out our Quick List below this paragraph for more information! If you're having a hard time deciding which Volvo is right for you, please read the S80 review above, along with reviews of other current 2015 models sold at Volvo of Dallas. Don't stress out over your next purchase; look to the respected Volvo retailer in Dallas for thoroughly researched reviews created by industry specialists. To make smart decisions when it comes to your next Volvo purchase, don't guess! Each summary is overloaded with data, including info about vehicle features, in an easy-to-understand page layout. Is the S80 not the right option for you? Find out more about other vehicles available at Volvo of Dallas using our reviews library. 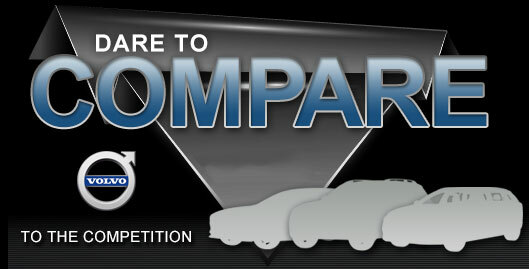 With it you can review and compare Volvo's entire lineup of vehicles.